Even Southern California has a winter season, especially when it comes to taking care of your car. Longtime Service Executive, Ruben Serna from Rock Honda, shares winterizing and maintenance tips. Plus as technology in cars reaches new heights so does the technology in service departments at dealers like Rock Honda. What does the future look like? Click play below to hear to find out in this episode of iDriveSoCal. Ruben Serna: These vehicles because they’ve got so many computers that need to be updated, software-wise. Now the 2018 vehicles just by driving into our service drive you’re going to be able to push updates automatically to the vehicles without even us getting involved. 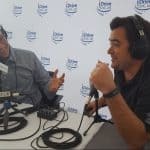 Tom Smith: Welcome to iDriveSoCal, the podcast all about mobility in the automotive capital of the United States, Southern California. I’m your host, Tom Smith, and today I’m joined by Ruben Serna. Ruben has run the service departments of many car dealerships throughout his career. 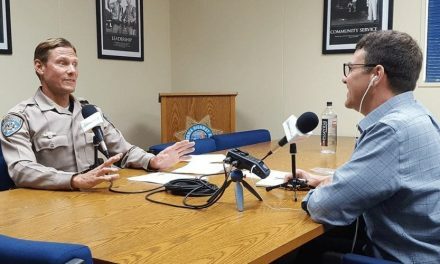 He’s helped thousands, if not tens of thousands, of SoCal drivers, stay on the road, and more importantly stay on the road safely. And he’s in charge of keeping the massive service department here at Rock Honda running like a well-oiled machine. Pun very much intended. Ruben, thanks for joining me, and thanks for being an iDriveSoCal partner, as Rock Honda is. Ruben Serna: All right, you’re welcome. Happy to be here and excited about the opportunity. So thanks for taking the time to do it. Tom Smith: I love driving. I don’t like sitting in traffic and being stalled, not going anywhere. Which we do often in Southern California, which is what a lot of the podcast is about. But cars these days, and Honda cars especially, are being manufactured so well that it’s a wonder how you guys in the service department actually keep busy. For instance, when did you get into the business? Ruben Serna: Twenty-one years. Goodness gracious it’s a long time. Tom Smith: What significant changes, from your perspective, have you noticed and what do you attribute that to? Ruben Serna: Well, I think you know when I first got in the car business we had that whole idea that you know oil changes get done very frequently and typically every 3,000 miles. But now what I’ve seen, even over the last 20 years especially your technology’s improved making it easier for a customer base to drive these cars. They’re more efficient, more gas efficient, more miles per gallon always increasing. It’s amazing some of these cars can get 100 miles to a tank or excuse me to… 50 miles a gallon and higher. So I think more importantly they’re sleeker, they’re more powerful, they’re faster. You can be driving 100 miles per hour and you don’t… it doesn’t even feel like it, so they’re so smooth on the road. Pretty soon I’m waiting for these hover cars to come out. You know, so we can drive those. That’ll be exciting. Ruben Serna: Back to the Future kind of thing. Tom Smith: Yeah. Yeah. And that’s the premise of why I got into… Really both media and the love of all things automotive and mobile. Ruben Serna: Well, you know that’s… I mean that’s why I love, my father was a mechanic. My cousin was a mechanic and my father was a mechanic and he had a shop at home so I always watched, I grew up with my father fixing cars and taking care of the neighborhood cars. And people who couldn’t pay just bring him food you know kind of a thing. So it was nice, it’s nice for me to be in the car business as well. So you know I love coming to work. I love dealing with cars every day. I love all the advances technology is making on these vehicles. So it’s exciting stuff. Tom Smith: Winter’s coming or winter is basically here. What’s winterizing mean for Southern California, and for Honda drivers? Ruben Serna: I think the main focus, especially now entering the winter season here. You know the rainy season is coming up. So you know people neglect their tires. You know they’re always… Hey, guess what, well the only thing that separates you… between you, your car, and the road are your tires. So you’ve got to be able to make sure that you take care of your tires, you’re always making sure that you’re coming in and we’re always checking the tire pressure, you know making sure your alignment is where it needs to be. So I think the biggest tip I would say is to make sure that your tires are properly inflated, so you get the maximum wear, maximum contact on the road, and then you have the right tires. So tires, brakes, alignments. Those kind of things are all safety related items you know. And believe it or not, they’re the most neglected. So people just think that they can just put gas in their car and forget about the winter season. Tom Smith: It’s got to be a safety thing, but wipers for me. My wipers, I’m a little OCD about some stuff, the sound of wipers bouncing across the windshield as opposed to smoothly whisking away the water as they’re supposed to. Ruben Serna: It messes with your chi. Especially if you’ve got some nice music going down the road and then all of the sudden… Yeah, it’s the worst. But yeah, you’re right wipers are also neglected, and I even neglected to talk about just a few minutes ago, so… But yeah, they’re so easy to do. I mean obviously, wipers are the things that should… Hey, it keeps your windshield clean and keeps the rain off your windshield and so that you can see through it. Pretty important. Ruben Serna: Yeah. You got to put it to sleep. Ruben Serna: Cars are getting so efficient, they’re burning fuel cleaner, burning engine oil a lot cleaner. I mean even the Hondas. There are certain models that will go you know 10,000 miles without needing an oil change. I mean they’re so efficient that you know and it’s kind of a detriment to our business, because we want to see our customers and our guests through our service drive a lot more often and unfortunately for our guests and that’s good because you know you’ve got better things to do than come in for service, but when you got to, you have to. It’s typically between 7,500 miles to 10,000 miles. Tom Smith: That’s the oil change. Ruben Serna: And Honda is you know they’ve got… it’s a beautiful thing because the technology has progressed so much that you know they have Maintenance Minders. It’s kind of you know Honda’s way of saying your Maintenance Minder but it’s a Maintenance Minder itself. And they will tell you, the car will tell you, have letters A1, 2, 3, 4, 5, 6, 7, 8, 9. And so all those different things depict that your car needs a certain type of service. And also tell you what the oil life is on the car. So when it gets down to about 15 percent, that’s when you get in your panic mode. You’ve got to bring it in. You know it will also keep track of, “Hey look, you’re minus 500 miles away.” You know, “You should have gone in 500 miles ago to do your oil change.” So… But yeah, you’re right. We see our guests maybe once a year. And that’s a good thing, because you know they’ve got a lot of more important things to do than to come in for service. Tom Smith: The car is going to tell me when the oil change is needed. You say between 7,500 and 10,000. But then you mentioned percentages. So do the Honda cars these days literally recognize when the oil, I believe it’s referred to as viscosity, which refers to the thickness right? Tom Smith: When the oil breaks down enough and then that’s what the percentage is? Ruben Serna: It’s dealing with temperature, viscosity, all the different things going on within the engine that will cause the maintenance light to come on. And that will also correlate with the percentage of the oil life remaining. What If I Go Over? And typically when the maintenance light comes on, that’s between 15 percent and 30 percent. Tom Smith: I’m a busy professional, I’m out driving around. Southern California is difficult to get around in. I have a family. I have a family, I have a job, I have things to do that maybe I can’t get to it at 30 percent, I can’t get to it 15 percent, and oh my gosh, will it tell me like I’m 5 percent under. Ruben Serna: Yeah, it will actually tell you the mileage that you’re under. And it does not tell you percentage. Tom Smith: Okay, so it goes right down to zero. Tom Smith: And that was going to be my next question is what, you know, I’m that guy. Ruben Serna: Yeah, I can tell. Tom Smith: But I’m that guy, but I’m kicking myself when I’m that guy. I’m frustrated. Ruben Serna: But it happens. Tom Smith: Right, because I got to take care of work, I got to go, you know, X, Y, Z.
Ruben Serna: Hey, you got things that to do. Tom Smith: Right. So then when I finally come in and it’s like, what does this really mean? What are the consequences I’m going to pay? Ruben Serna: These Hondas are so efficient. They’re so technology… technological… technology, you know the word I’m saying, right? Ruben Serna: Yeah, technologically advanced that you can edit that. Tom Smith: Yeah, no problem. They’re so technologically advanced. Ruben Serna: Tech… I can’t say it. I have no idea, they’re so advanced. Tom Smith: We’ll make it sound good. Ruben Serna: Yeah exactly. They’re so advanced that you know and so efficient that I have yet to see an engine burn because of lack of… because they just came in just a little too late. Now lack of maintenance is a different thing. So I’ve seen just like anything else you know you take care of the car, it’s going to take care of you. You don’t take care of the vehicle. You know that you’re going to have issues. Like I said before my father was a technician at home, had his own shop, and he always told me, “Look, take care of your car, it will take care of you.” So… and that’s what we try to do. Tom Smith: You mentioned the training that the Honda service technicians go through. I know that’s extensive. And then beyond that, you guys probably have a, as you also mentioned, electric vehicles and whatnot. You have a glimpse into the future. Tell me what you know, or what you can tell me, about the future Hondas that are going to be coming out. Please tell me that my flying car is under development. Ruben Serna: Yeah, I got the blueprint. I’m going to be the first one to drive it. You know, I don’t have any clue on how soon that’s going to happen. But it’ll be exciting when it does. But you know as far as some of the technology that’s advancing. You know like even the 2018, you know, obviously we’ve got the Bluetooth, but you know these vehicles because they’ve got so many computers that need to be updated, software-wise. Now the 2018 vehicles just by driving into our service drive you’re going to be able to push updates automatically to the vehicles without even us getting involved. So that’s you know they’re going to tap into our software system. Tom Smith: I just drive my 2018 Honda, particular model? Ruben Serna: Odysseys and Accords they’re starting with. Tom Smith: So I drive my 2018 Honda Odyssey or Accord simply up to your service drive and the vehicle software is updated automatically? Ruben Serna: Yes, it’s pushing updates from through our Wi-Fi. We had to make a ton of Wi-Fi through our service drive and it was part of the requirements from Honda to be able to do this. So you know it’s kind of nice because we’re not going to lose any time by doing that and our guests are not going to lose their time and that’s most important. Tom Smith: Will it cost them? Tom Smith: Sounds fantastic. Honda has hybrids already out, fully electric cars? Tom Smith: The Clarity’s full electric? Ruben Serna: Yeah, full electric. Tom Smith: And what differences when you guys have to work on those fully electric to hybrid to completely combustion. Ruben Serna: Well it’s so new we haven’t even serviced one. We’ve been reading about it. So but for the most part it’s just inspections. You know, making sure that things are operating the way it is supposed to be, software inspections, possibly updates if they need it, but nothing… I mean there’s no fluid changes. Tom Smith: No fluid changes? Not even grease? Ruben Serna: Not even grease. Nothing. 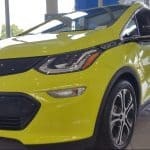 Tom Smith: So are electric cars going to put service departments out of business? Ruben Serna: No, no, no. I think they’ve only made two of them. So, hey, you never know. 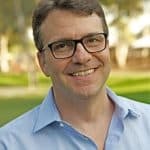 Tom Smith: You literally live close by, so I can’t highlight the ridiculousness that is our commutes here in Southern California with your personal experience. But with that in mind, we talked about winterizing vehicles or getting ready for winter. And in terms of Hondas, we talked about, hey the car is going to pretty much tell you what it needs. What about for, and specifically with oil changes, every other car out there that’s not a Honda, with regard to oil change. Is there a set standard. What is that set standard? Ruben Serna: You know I think the set standard that I’m aware of is anywhere between 5,000, 7,500 miles and that’s pretty much you don’t want to go more than 7,500 miles. You know all of these cars are full synthetic. You know they’re 0-20 full synthetic and it’s just you know the cars are more efficient, they drive a lot longer between service stops, which is great. So especially for guys like you that you know they just drive and drive and drive. Tom Smith: So instead of 3,000, what it was, and now it’s between 5,000, 7,500 and determining factors of between 5,000 and 7,500, if I’m in stop and go or if I am driving long distances at high speeds high RPMs? Ruben Serna: Stop and go traffic is very hard on the car and it’s hard on your brakes, hard on the tires, hard on the engine. So if you are in the stop and go scenario daily, especially in traffic, it’s easy to find traffic on the freeway. You know, I would say 5,000 is a good standard. Tom Smith: So if you’re in a Honda vehicle, it’s going to tell you and if you’re not on a vehicle, between 5,000 and 7,500. If you’re doing a lot of heavy stop and go, keep it closer to 5,000. Ruben Serna: And so that leads me to my next point. I had a point, because you said if you don’t have a Honda. So basically, you’ve got to get a Honda. So you don’t have to worry about it. It’s going to remind you. Your cars going to remind you. I’m not biased or anything. And come get it at Rock Honda. Tom Smith: Ruben, thank you for joining. Ruben Serna: Thanks for having me. Tom Smith: Thank you so much. That wraps up this installment of iDriveSoCal. 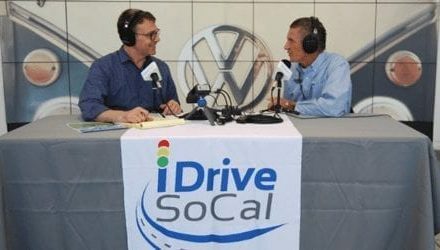 Thanks again to my guest, Ruben Serna of Rock Honda, for joining me today as well as being a sponsor of iDriveSoCal. Rock Honda is on South Highland Avenue in Fontana and at rockhonda.com. Don’t forget to follow them on Facebook. I’m Tom Smith. Until next time. I grew up in a small town in northern Illinois. Graduated from Columbia College Chicago and then produced TV news for CBS and ABC affiliates. The TV news business was fun but often depressing. So, I shifted to sales and did that for many years. I got fired a lot. Luckily, Al Gore invented the internet. Now, I have a place to exercise my different ideas that helped get me fired. 1. Is sent to your inbox. 2. Includes words and pictures. We're serious but have fun. 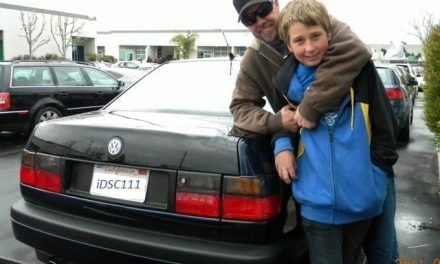 I’m Tom, owner of iDriveSoCal. Our content covers automotive news and the future of transportation. That includes a lot of vehicle reviews and car buying tips. I’ve always loved cars. But, not the car buying process. It’s actually pretty simple when you can trust who you’re buying from. And, part of what we do is identify the truly exceptional car dealers and work with them. So, email me with questions. Or reach out to our partners directly. They’ll be glad to hear from you. © 2017 iDriveSoCal. All rights reserved.